London's largest casino opened after a long closure and amid much fanfare (if you were walking past Leicester Square one day in June 2007 you would have heard the loud speaker warming up the punters). In what was the Empire Ballroom, originally an old Victorian music hall, you'll now find two restuarants, four bars and 30 gaming tables. The glitzy interior is typically Las Vagas - plenty of crystals, mirrors, showgirls (performing Thursday to Saturday nights) and no natural daylight so you never need to know what time of day - or night - it is. Electonic slot machines wait, gaping mouthed to take your coins, or take a seat at the tables and try out your Poker face. If you're a complete beginner you'd be advised to book in for a free lesson which take place every evening. With the huge rise in online poker playing and the popularity of websites like betfair.com gambling has become more popular - and acceptable - than ever. If that's anything to go by this small strip of Vegas will be worth the gamble. The Casino at the Empire clubs, bars, cabaret nights, casinos and interesting nightlife. 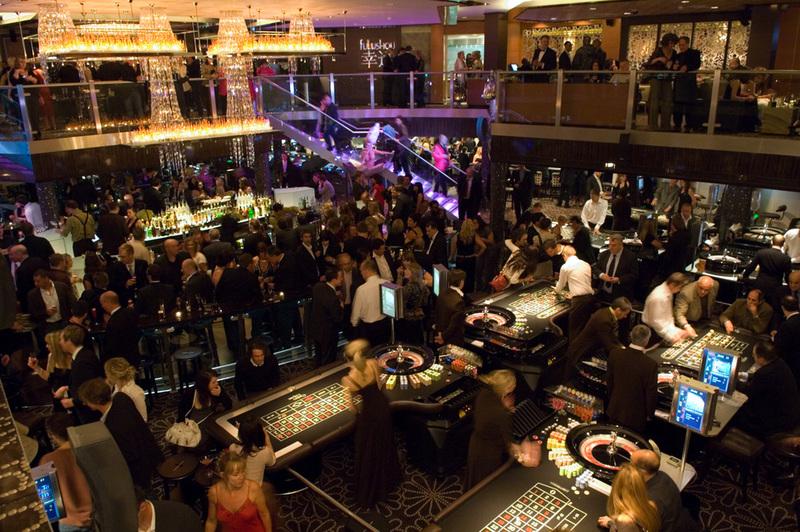 What are the best dining options near The Casino at the Empire London? The Casino at the Empire gyms, sporting activities, health & beauty and fitness. The best pubs near London The Casino at the Empire. Where to have your meeting, conference, exhibition, private dining or training course near The Casino at the Empire. From cheap budget hotels to luxury 5 star hotels see our discounts for The Casino at the Empire hotels, including Thistle Trafalgar Square, The Royal Trafalgar from 77% off.